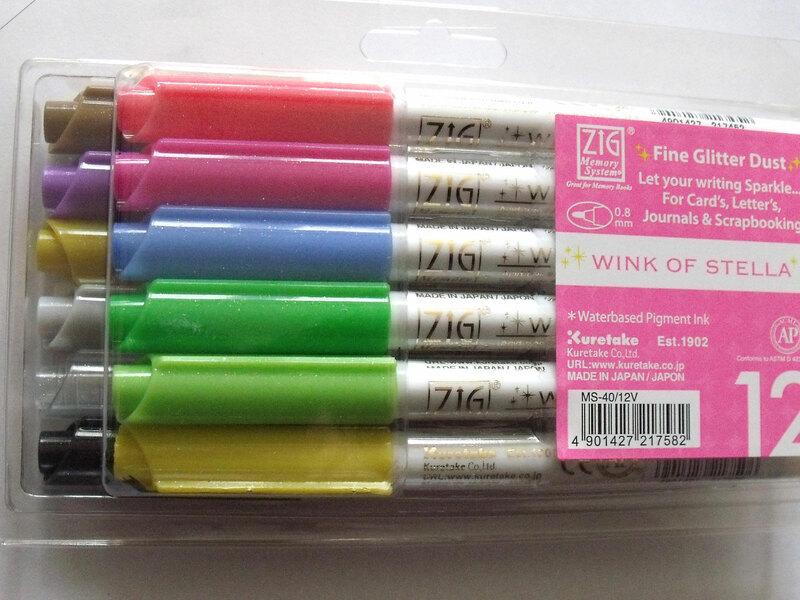 Kuretake Zig Wink of Stella is a pen that will give a subtle, glitter dust look. It has a 0.8mm tip, water based dye which is odourless. Wink of Stella will add glitter dust and colour to your projects. 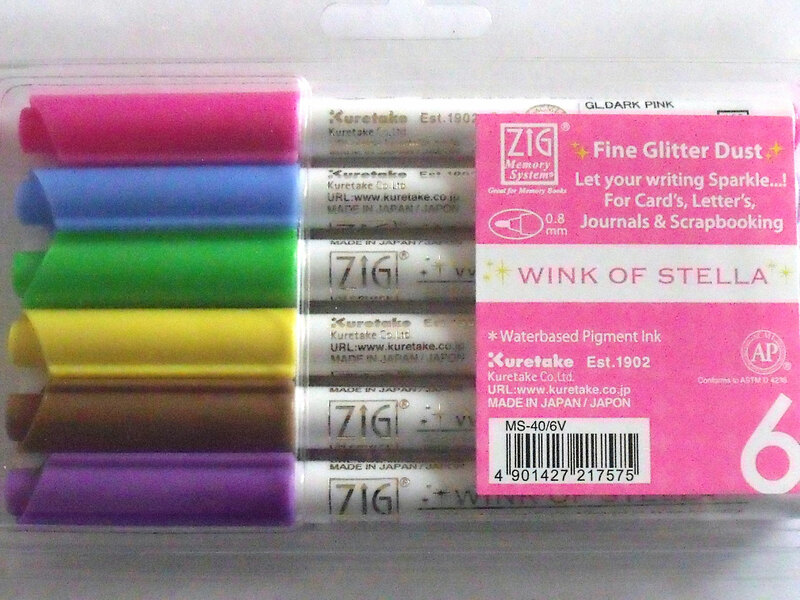 Zig Wink of Stella is a pack of 6 Fine Glitter Dust Pens - add sparkle and glitz to your cards, projects, scrapbooking and writing. Pack of 6 glitter pens with 0.8mm nibs, colours included are pink, blue, green, yellow, brown and purple. 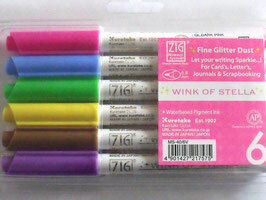 Zig Wink of Stella is a pack of 12 Fine Glitter Dust Pens - add sparkle and glitz to your cards, projects, scrapbooking and writing. 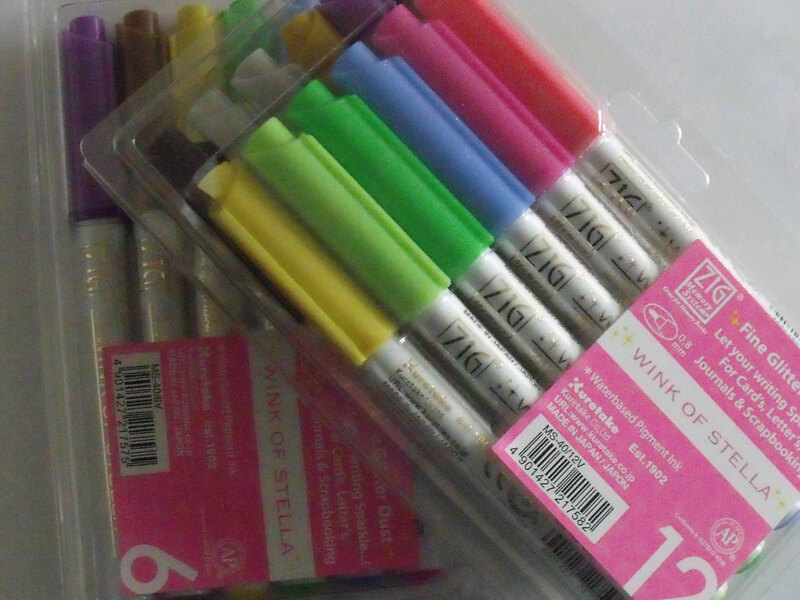 Pack of 12 glitter pens with 0.8mm nibs, colours included are Black, Clear, Silver, Gold, Violet, Brown, Yellow, Light Green, Green, Blue, Dark Pink, Pink.